Enough times I have seated a client into my chair, talked over what we would do and then got to my favorite part...the visiting and catching up:) and they have broken me the news....they have cancer. 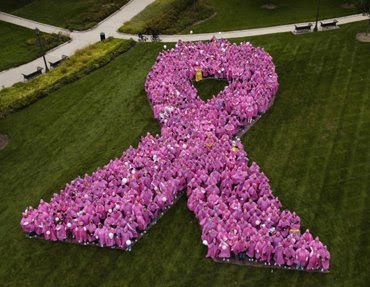 Every time, I want to scream, I want it to stop, I want them to just FIND A CURE!! At times, I have felt helpless in helping someone, and just did what I could...be there, make a meal, shave a head, fix a wig, give other clients experiences to try to offer support or ideas to help...mostly, I've just felt helpless. To be totally honest, I never had that extra money laying around to make any contribution that I felt was substantial in my eyes. BUT now, mostly due to such a wonderful and full year at Bijou, all of us girls can help! 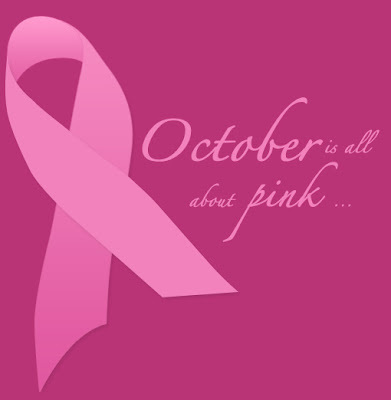 We will be donating 10% of our monthly sales from services towards the National Breast cancer foundation! I thought this was the best one, but please if anyone else has another suggestion, I am open to any foundation. What I was originally looking for was something that helped people offset the cost of drugs and extra stuff you don't anticipate. We just had a client in who was saying that she had to be careful about her budget and wouldn't be allowing herself to travel or any little extras because just one dose of a certain medication would cost her $600, I was listening (as it wasn't one of my clients) and I was aghast that she would have to pay for that on her own, and only one dose...I asked her if there was any kind of medication "bank", because she had also mentioned, that sometimes she bought the meds and then could not use them, but could not return them...I was heartbroken, aren't we supposed to be one of the richest countries??? While listening to her, I was thinking....oh please, how can I offer this service to her that she was getting without making her feel uncomfortable...and as if Courtney read my mind, she told her "this is my treat for you today, I want to do this for you, and I won't take no for an answer!" Times like that, I am so pleased to have girls with hearts the size of mine! So if anyone has any suggestions for another great foundation, I do think we will have a considerable donation and it would be nice to make two different donations! So from now until the last day in October, we will all be working hard to make those dollars add up and at least now feel like in another way we can try to make a difference! So please stop in, pick up a tiny pink ribbon (that Thomas, Dylan and Chase made, even though, "they don't have boobies," they too want to help:) and Please check back here at Bijou salon in skaneateles blog in November to see how much we were able to send out! Wow that such a great thing that you are doing! I talked to a friend at the American Cancer Society and she said if you call 1-800-ACS-2345 they have a listing of every cancer program out there and what they specific do with the money. Hope that helps and thank you for all you are doing for the woman of the world, inside and out!